2013 turned out to be a very big year for IP, and especially patents, and the year took a course that few would have predicted this time last year. At that time, the senior team at the PTO was primarily focused on the imminent departure of our then-boss, David Kappos, and the end of what had clearly been an extraordinarily active and successful tenure. The AIA had been almost entirely implemented, the new Patent Trial and Appeal Board was up and running, and most of us expected 2013 to be focused on implementation and execution of the AIA and the other initiatives that had been set in motion under Director Kappos. But things turned out rather differently. Nobody would have predicted a year ago that President Obama would personally call for additional patent reform legislation to curb patent troll litigation. Or that a comprehensive patent litigation reform bill would speed through the House by a lopsided margin and be heading to Senate consideration with a full head of steam. Nobody also would have predicted that the USPTO would also fall victim to sequestration and once again be denied full access to its fees so shortly after the passage of the AIA, which held forth the promise of full access to fees. And few would have predicted that the PTO would be without stable political leadership since Dave Kappos left eleven months ago. Or that a new Chief of Staff and a new Deputy and Acting Director would be named before a new Director was nominated. This unusual and lengthy transition period has caused understandable concern in the IP community, but we should all be pleased that a new Acting Director has been named and will take the reins on an acting basis in just two weeks. So the year is ending on several high notes: First and foremost, the recent budget proposal negotiated by the House and Senate holds promise for FY14 spending authority at $3.024 billion, which, with appropriate language granting the PTO access to any excess fee collections, would provide the PTO with full access to its fees. That alone is a reason to uncork a bottle of champagne this New Year’s Eve. Second, highly capable and experienced political leadership is on the way. It is a testament to the PTO – and to this Administration – that the PTO was able to attract someone of the caliber of Michelle Lee, to become Deputy Director and assume the duties of Acting PTO Director very soon. Michelle’s transition will be enabled by many things and many people, but Andrew Byrnes, who succeeded me as Chief of Staff in September, is to be credited with very skillfully facilitating the transition to a new leadership team. Having worked with the entire senior leadership team since becoming head of the Silicon Valley office, and as a key advisor on many issues of concern to that community, Michelle is a known quantity at the PTO and will be able to hit the ground running on January 13. I think she will serve the PTO with distinction. Although I hesitate to predict the future, I believe that the whole leadership team will take shape in relatively short order. I’d say by March, at the latest. I would also expect a decision on the new White House Intellectual Property Enforcement Coordinator to be made in the same frame. These two key appointments will likely be made either as a package or very close together in time. So the entire IP team, both at the PTO and elsewhere in the Administration, is taking shape. David Edelman, who co-led the White House interagency task force on high-tech patents, continues to be an important force in IP policy from his perch at the NEC and OSTP. Edelman worked closely and collaboratively with the PTO team on the June 2013 White House report and recommendations which provided important impetus to the current push for further legislative reform. He has been joined at OSTP by distinguished academic Colleen Chien, and, in Secretary Pritzker’s office, by Josh Mandell, who will work closely with Shira Perlmutter, Dana Colarulli and the PTO policy team to advise Commerce and the Administration on IP policy. Lastly, and most importantly, some version of comprehensive patent litigation reform legislation is likely to be enacted into law in 2014. Although this legislation has broad support in the tech community, and other segments of the IP community, as well as among retailers, app developers, start-ups and venture capitalists, many of the traditional IP companies and the established IP organizations have expressed concerns that it fails to strike the right balance in certain key areas like discovery or the customer stay exemption. The same battle lines will no doubt be drawn as the Senate takes up the matter next year. But there can be no doubt that we are engaged in a very important – perhaps seminal — conversation about the patent litigation system. This effort should be – and I believe that for the most part it is – about strengthening the patent system and enhancing the value of good patents – patents issued for inventions that are truly novel and non-obvious and whose boundaries clearly trace the contours of what has actually been invented — by making it harder to extract nuisance-value settlements based on litigation costs and the assertion of low quality, overly broad and vague patents that perhaps were improvidently issued. I think that 2013 saw a clear articulation on the part of the Administration, which issued a report and series of recommendations on patents in June, that there are still a number of bad legacy patents out there – particularly business method patents – that are being asserted in litigation – often recklessly – and that these legacy bad patents continue to have a corrosive and stifling effect on today’s innovation. At December’s Senate Judiciary hearing, Senator Schumer made it clear that he still wants to see a provision in the new law for challenging poor quality patents if they are being asserted in litigation. Although the CBM expansion provision – a codification of PTAB’s Versata decision — was struck from the Goodlatte bill, we can expect a renewed push for some version of CBM expansion in the Senate. As Congress moves forward with this legislation, it should continue to be guided by a desire to strike the right balance between preserving the legitimate rights of patent holders to enforce valid patents while making it harder to engage in abusive litigation based on asserting poor quality patents. I don’t believe anybody favoring strong reform – and that includes a very broad spectrum of IP-dominant entities as well as an array of other interests – wants to weaken the patent system or make it harder to assert valid patents. Let’s hope that the next phase of this debate is focused on a sober and balanced assessment of each of the issues, and that the legislation that is ultimately enacted creates a more equitable and efficient litigation playing field which restores confidence in the patent system so that it can continue to spur innovation and drive economic growth and social well-being, as it has done for the past two centuries. Thanks for this post. I don’t completely agree with your post. There are definitely reformers out there that want to completely kill all patents and some that just want to kill all CS/EE patents. The list is long, but certainly the post several months ago on patentlyo for a manager of paid bloggers for anti-software patents should give anyone pause. The anti-patent group is well organized and well funded. Also, I’d say the CLS Alice cert is probably the biggest decision that has gone to the SCOTUS for patents since Benson. And, one final note, Obama not only said there needed to be reform, but he started appointing anti-patent judges to the CAFC and judges that have no science and no patent background. We now are facing a court that was supposed to understand science, but is now stacked with people that are in their mid 40’s and above and have never had any interest in science or patent law before their appointments. And, one more, Lee is certainly an indication that Obama plans on getting reform in the same way Clinton repealed Glass Steagal. That is, a small group of elites making decisions for the rest of us with no broader debate and vetting of the issues. Very scary to my mind. 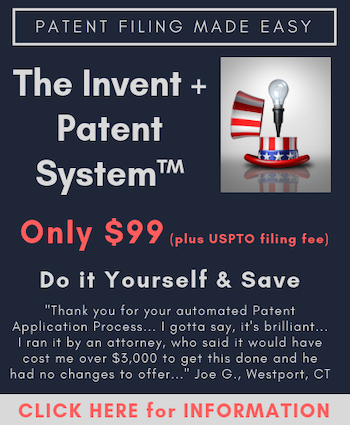 To my mind, patents are under the same pressure that anti-trust law was in the 1960’s. Now anti-trust law is geared toward large multi-national corporations and what suits them. I think they have lots of money and are pushing their agenda. I’d get that in 10 years our patent system is going to end up looking like whatever those multi-nationals want it to look like. (given that our financial regulation, trade regulation, anti-trust regulation, employment laws, etc. now looks about like what they want it to look like.) I know financial regulation is an exception as they had a major failure, but give them time and they will have it back to the way they want it. I’d add to that this. Consider as an indication of what is going on the level of influence of the professions in the patent field. Right now it has certainly never been lower. The people that are now shaping patent law are people that are in place based on their corporate friendliness. How many real patent attorneys are in a place of authority now? Almost none that I can count. A final note is where does one go for some unbiased scholarly discussion of the issues? I don’t trust any of the professors I see post on the boards and that publish articles. The fact is that many of them have been retained by corporations. And, the fact is that they do not disclose their clients or interests in their posts. So, for example, recently there was a post on patentlyo from Professor Duffy regarding Lee. He supported Obama’s position. But, is Duffy being paid by Google? We know as a professor he has worked for other high-tech companies. He did not disclose his interests in supporting Obama in his actions regarding Lee. But, for all we know, Duffy is working for Google. He did not respond to posts asking him if he had an interest. And, with Lee, are we going to see her go back to Google with a giant stock option when she is done with the PTO? I wish it weren’t so. I really do. But, we can’t be naive about money. And, the corporations have lots of it. And, just looking at how DC works, the corporations get their way by putting people in positions of power that have worked at the corporations before, and then giving them a big pay off for implementing policies favorable to the corporation during their government tenure. These statements are not disputed by anyone that follows DC. So, our biggest problem with the patent system is that we have no voice. The patent professionals influence is at an all time low and Obama is working towards lowering it more. Prediction: Michelle Lee will make changes that will enable easier invalidation of existing patents.